Following the tragic but sadly all too predictable death of Min Joo Lee at Kings Cross a fortnight ago, some people are talking about a charge of corporate manslaughter against TfL. 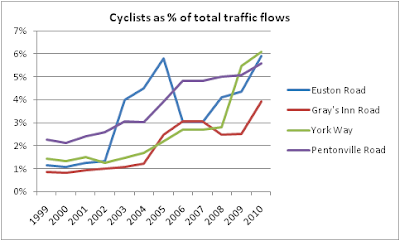 Something you sometimes hear in debates around the rising number of cycling casualties is that the number of people cycling in central London is growing quickly, so even with a falling accident rate you might well see more casualties. That's true enough as a statement of fact, but I think you need to think through the implications. If people are autonomously choosing to cycle more despite its relatively high risk, do you leave the road network as it is and accept the increased level of casualties, or do you decide that the roads need to change to accommodate a changing mix of users? 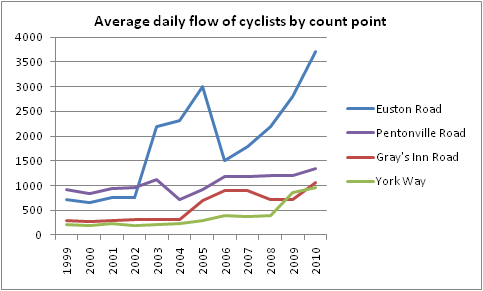 Some figures on trends in cycling around Kings Cross might help illustrate the point. 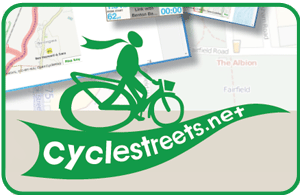 Here are counts of the number of cyclists on four main roads around the junction where Min Joo Lee died, carried out by DfT every year since 1999 and available here. 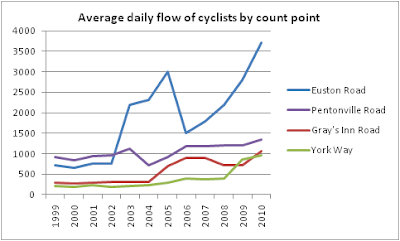 Cycling in this area seems to be growing quickly in both absolute and relative terms. 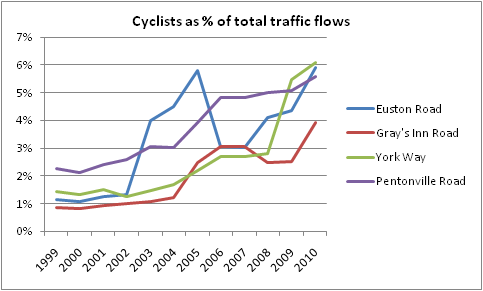 I suspect even TfL would admit that this isn't due to the area becoming much more cycle friendly in recent years. It's more likely to be driven by rising public transport fares and the congestion charge making other modes of transport less attractive. But whatever the reason, it's plain that people are cycling more in central London, even around objectively awful junctions like Kings Cross. That shouldn't be seen as an excuse for higher numbers of casualties, but as a powerful argument for driving down the collision rate faster than before.